Our clients approached us to re-design their basement shower room for their adult children, who were living at home between studying or travelling. 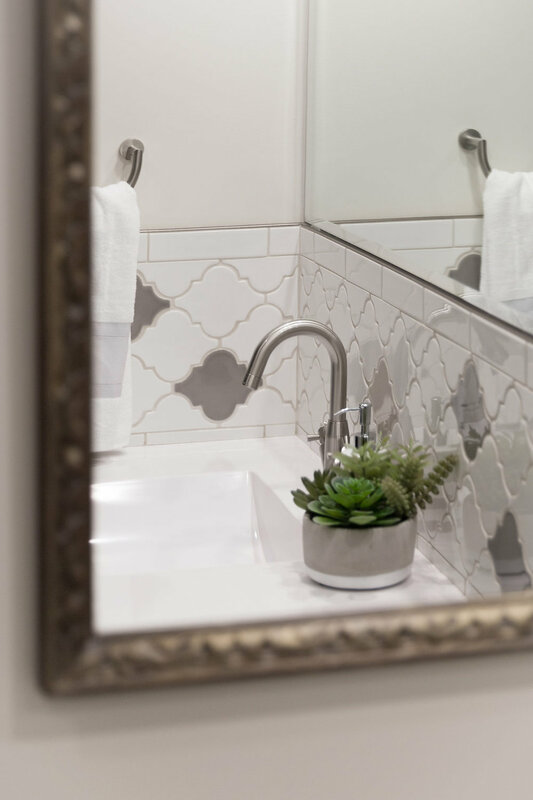 As our clients are well travelled we opted to go with a dash of moorish inspiration with the tile detail, and balanced the budget with a big box vanity and sink. They love the results, as do their children. We're not sure when they will be moving out now!